Take Back the Night is an annual event that Voices Against Violence hosts as part of Sexual Violence Prevention Month. Sexual violence survivors publicly spoke about their personal experiences at the event. Katie Burran, women’s and gender studies junior and volunteer for the event, said some survivors keep their experiences private because of society’s perception of sexual violence. “There is very rarely a platform in society for people to share their stories, especially because it’s such a taboo subject where victim-blaming is so prevalent,” Burran said. Erin Burrows, prevention and outreach specialist for Voices Against Violence, said her favorite part of the event was the open forum that helps audience members understand the severity of sexual violence. “[The event] is a time for people to break stigma, to erase shame, and to really come together as a community to say that we will not tolerate sexual violence on our campus,” Burrows said. Keynote speaker Paula Rojas emphasized during her speech the importance of finding creative solutions to sexual violence that don’t rely on public institutions. Rojas said sexual-violence survivors have the advantage in developing solutions that work toward ending sexual violence. The event also allowed for campus organizations that deal with the topic of sexual violence to voice their own concerns and opinions. Not On My Campus, a student-led sexual-assault-prevention movement that has gained widespread support at UT, laid out large boards for people to sign and pledge against sexual violence. “We are a student-led organization to stand up against sexual violence, and it was important for us to be represented here in order to show survivors that we do support them,” said Sydney O’Connell, corporate communications freshman and a supporter of Not On My Campus. Plan II freshman Laura Zhang said she enjoyed the informative and interactive environment that the event created. “The environment of the event created by the band and all of the people at the organization booths encouraged me to stick around and learn more about the issue of sexual violence,” Zhang said. The official University welcome event “Gone to Texas” brought together more than 8,000 students and members from the University community for a celebration on the Main Mall in front of the Tower on Tuesday evening. President William Powers Jr. opened the ceremony by welcoming students to the University the night before classes began for the fall semester. “What an impressive sight to look out over the Main Mall and see this assembly of new Texas Longhorns,” Powers said. Powers said students will face challenges in their time at the University. Powers said he was confident the new students would rise to meet those challenges, before announcing his participation in one himself: the ALS Ice Bucket Challenge. The Gone to Texas program, a tradition of over 20 years, introduced new students to the traditions and core values at the University with various performances introduced by speakers from a wide variety of University schools and organizations, including Student Government President Kori Rady and Vice President Taylor Strickland. Engineering freshman Katie Moore said hearing the band play “The Eyes of Texas” was her favorite part of the event. 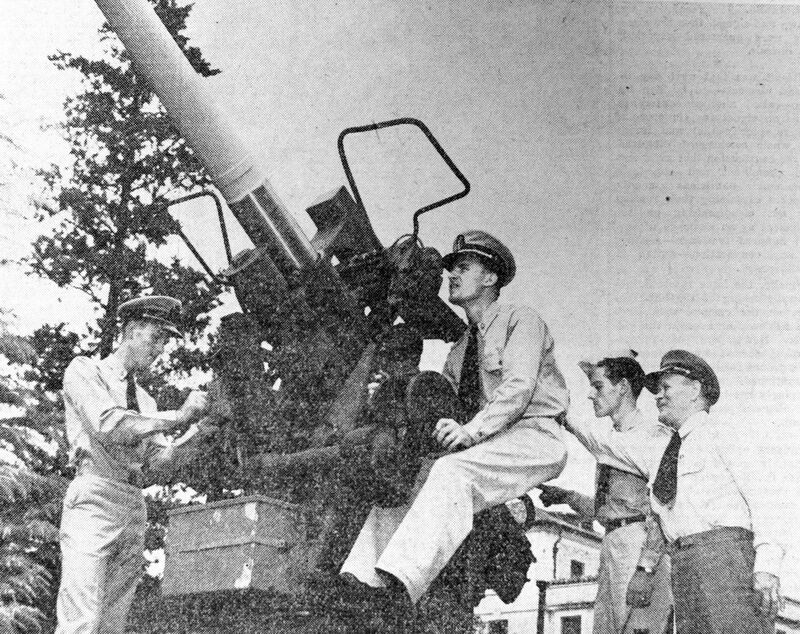 University Naval trainees celebrate the end of World War II in downtown Austin. As the Fourth of July approaches, The Daily Texan looks into the past to explore how major moments regarding civil liberties and freedom in American history have impacted UT. From Reconstruction, to celebrating the end of World War II, to the grief surrounding the incomprehensible act of terror on 9/11 — the struggles and triumphs of this country have changed UT, too, and in turn, UT has changed the course of this country throughout its history. sympathies, the two became well-known rivals. In 1910, Brackenridge donated 500 acres of land on the Colorado River, proposing the University be moved there. As a way of keeping the University on the original 40 Acres, Littlefield combated the proposal by donating $250,000 to build what became the Littlefield Fountain. The fountain became a memorial to World War I, and was originally to have statues of Confederate and Union figures, symbolizing the reunification of the North and South through World War I. The final design differed from this plan and the Confederate figures were displaced along the Main Mall alongside Woodrow Wilson representing the North. 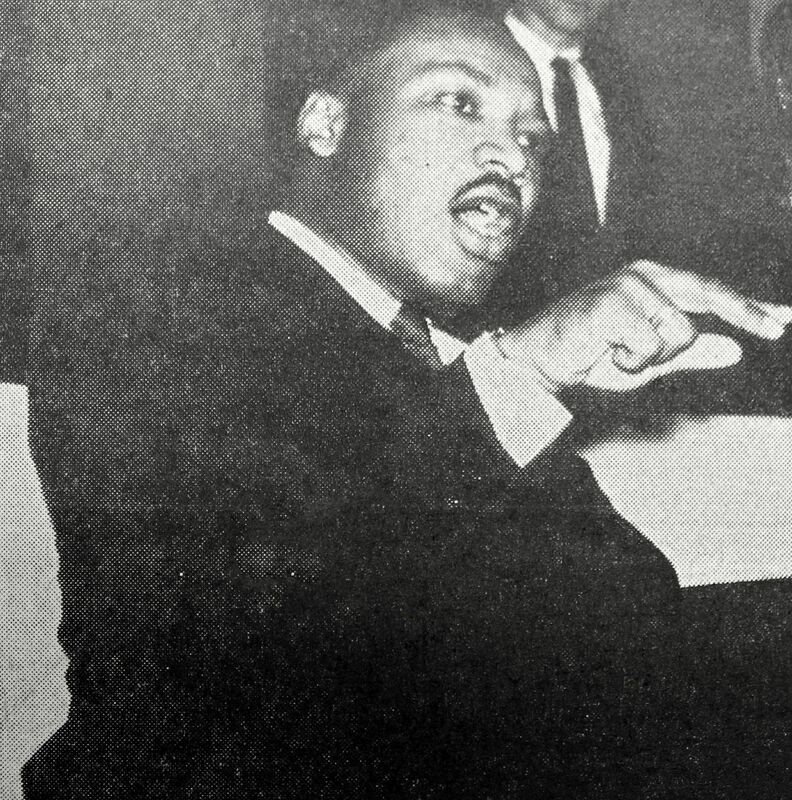 On March 9, 1962, Dr. Martin Luther King Jr. came to UT and spoke in front of 1,200 people at the Texas Union Ballroom. “Old Man Segregation is on his deathbed,” King said to the crowd. “The only question is how expensive the South is going to make the funeral.” Though Old Man Segregation was on his deathbed, segregation at UT persisted in student housing, athletics and at several businesses near campus. “They didn’t integrate. 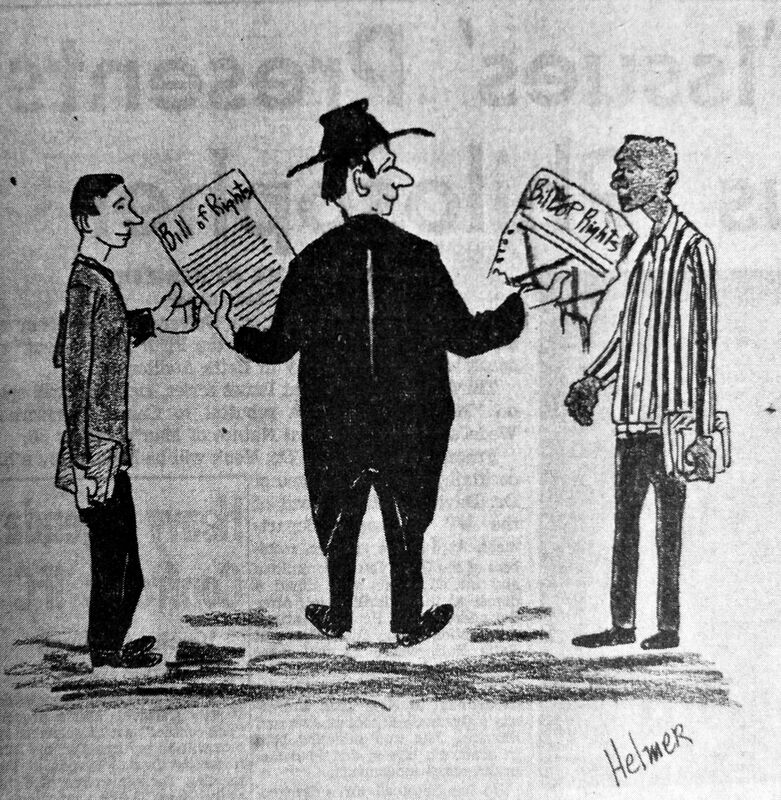 They had these black students, but they were always on the periphery of the campus, literally and figuratively,” said Dr. Dwonna Goldstone, author of “Integrating the 40 Acres: The Fifty-Year Struggle for Racial Equality at the University of Texas.” Segregation limited the opportunities of black students in all aspects of life. “The black students couldn’t go watch the movies that their professors had assigned them,” Goldstone said. “They couldn’t get their hair cut, or they couldn’t cash a check.” Dorm sit-ins and other protests on campus took place throughout the civil rights era in an attempt to change the divided environment on campus. In 1969 the Longhorns were the last all-white team to win the National College Football Championship. The next year, Julius Whittier became the first black player on the Longhorn varsity football team — a major step in putting down Old Man Segregation. “We’re all a little scared” read the headline of the Texan on Sept. 12, 2001 the day after the Sept. 11 terrorist attacks. 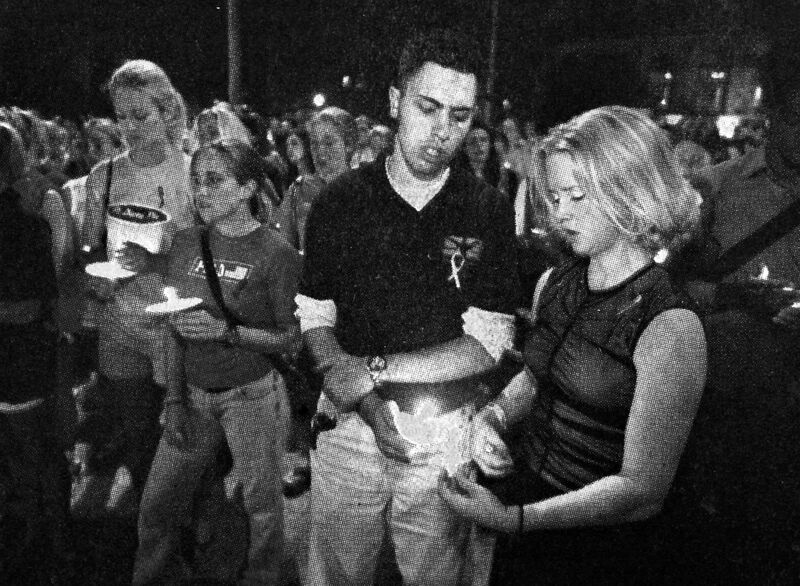 The night of Sept. 11, a crowd of approximately 2,000 mourners packed onto the Main Mall in remembrance of the victims. At 8 p.m. they began lighting their candles. At the vigil, Student Government president Matt Hammond spoke to the crowd saying, “As a generation, tonight we must answer our call. Our call is not one of vengeance or one of hatred but rather we must answer the question, how can we help?” Following funeral services and mourning came debates on how the country should respond to the attack. 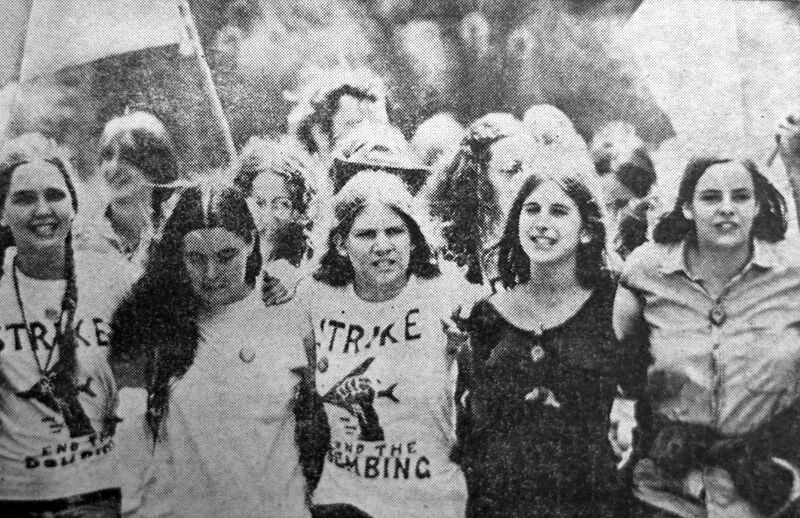 On the brink of war, students rallied for or against going into the Middle East. Meanwhile, Muslim students, faculty and locals feared backlash. Professor Mohammad Mohammad of the Arabic department removed his headdress in order to avoid confrontation after being spat on the morning of the attack. “At that time I didn’t know why he spat on me,” Mohammad said. “A few minutes later, I found out. Some of my students were scared.” While classes continued, students on campus spent the weeks following the attack mourning and helping out any way they could by means such as donating blood. Biology freshman Lauren Jabalie, center, meditates prior to yoga instruction in the Main Mall on Monday afternoon. The two hour walk-up yoga session was organized by non-profit Art of Living and was designed to impart among students relief from daily anxiety. Art of Living teaches yoga and meditation techniques, which are often based on ancient traditions, said Ayush Dahiya, computer science freshman and YES+ coordinator. The type of breathing taught is called parnayam and can help with concentration and positive thinking. The Art of Living focuses on bettering lives through yoga, meditation and service. The UT chapter of the Art of Living hosts Monday yoga sessions regularly, but usually holds them in the Texas Union. Chemical engineering freshman Jade Jackson stopped in spontaneously while passing by, remembering the two Art of Living yoga classes she attended at the beginning of the year. Art of Living president and neurobiology junior Arjun Adapalli, said he was pleased with the turnout, although the cold weather resulted in a smaller class. Art of Living is also preparing for a five-day course called the YES+ course, which will focus on stress-management techniques. Adapalli said he was inspired to re-start UT’s chapter of Art of Living after attending a YES+ course two years ago. Students and volunteers particpate in Diwali, the festival of lights, at the Main Mall on Tuesday night. The festival consists of many traditions and is held every year. Students celebrated Diwali, a Hindu cultural and religious tradition, with prayer, music and candles at a festival on the Main Mall Tuesday sponsored by the Hindu Students Association. Deepa Pokala, math and pre-med junior and Diwali co-chair, said Diwali is associated with Hindu mythology of Lord Rama, a reincarnation of a Hindu god. Pokala said the celebration is in honor of Lord Rama returning home after defeating a demon, Ravana, that captures his wife and is a symbol of good defeating evil. The Hindu Students Association is an organization open to all students that holds weekly discussions centered on Hindu culture and celebrates Hindu traditions, including Diwali, on campus. The celebration is also referred to as row of lights, the festival of lights and Hindu New Year. Because of the focus on light, the festival included candle-making and fireworks, as well as traditional Indian pastries and dances. Students participated in a havan, a prayer surrounding a fire as a symbol of light and a spiritual connection to the gods, while Hindu hymns called bhajans were played. Students could also participate in other Diwali traditions including rangoli, or colored flour made into designs and symbols, normally placed outside homes on the ground to publicly show the family is celebrating Diwali. Abhijit Sreerama, association member and math and pre-med junior offered kumkum, powder placed on the forehead as to center the mind for prayer. “It has a cultural meaning as well as a spiritual meaning,” Sreerama said. “The forehead is the center of thought, and this is put on both men and women during this time, and when you pray, it centers your being. Public health junior Navya Singirikonda helped students make toran, which is a cultural ornament that is placed across the top of a door with sheer cloth, fruits and leaves. Students gather Tuesday evening to listen to speakers representing campus minorities speak about the destructive power of stereotypes in the wake of the killing of Trayvon Martin. The Black Student Alliance worked with Queer People of Color and Allies and other student organizations in an effort to bring multicultural awareness to the student body and break down barriers. UT sophomores X’ene Taylor and Jasmine Graham organized the rally to speak out against the stereotypes that surrounded the Feb. 26 killing of 17-year-old African-American Trayvon Martin who was shot by neighborhood watch volunteer George Zimmerman in Sanford, Fla. Taylor and Graham organized the event with help from the University’s Black Student Alliance and other student organizations. Dixson led the crowd in various chants about collective power and creating a movement out of the continuing issue of racism. He also encouraged the University to join with similar movements growing at other campuses. Government sophomore Cortney Sanders told the crowd that the rally sought to show students that the groups people are part of should not label them as individuals. The speakers identified themselves as a Chicano/a transgender student, a multiracial lesbian, a black Christian woman and a Latina who said she has been racially profiled as white because her skin color does not resemble what individuals assume Latinos look like. UT alumna Audrea Diaz represented the disabled community. Diaz said labels affected her so much that she tried to kill herself twice because of it. Stereotypes make the gap between cultures wider, said vocal music performance sophomore Archana Narasimhan who also spoke at the event. When individuals look at “brown people” they automatically make assumptions of whom they are, she said. Another speaker Roddrick West, architecture senior and president of Omega Psi Phi, said Texas is undergoing a demographic change, and it must appreciate the importance of diversity instead of allowing institutional racism to continue. A previous rally organized to raise awareness about the Martin case and institutional racism was held at the Capitol on March 27 in which more than 1,000 Austinites marched down Congress Avenue. Regardless of how anyone feels about Martin’s death, stereotypes never leave a positive trail behind, said rally organizer Taylor. Fine arts graduate student Courtney Sale has always had a hard time finding the right words to speak about the 9/11 attacks on the World Trade Center. Nearly 10 years ago, Sale’s brother-in-law entered the North Tower to attend a conference at the top floor. He never emerged. Sale’s play is one part of UT’s three-day 9/11 commemoration, which will begin with a flag lowering on the Main Mall Friday morning and a carillon concert at noon. Students are encouraged to leave notes of remembrance, individual perspectives and memories of 9/11 at the UT Tower, according to the University’s website. All notes will be collected and saved in official University archives in the Dolph Briscoe Center for American History. Friday’s activities will conclude with a 9/11 panel entitled “Conversation 9/11: A Decade After, Looking Forward” hosted by the LBJ School of Public Affairs. The commemoration has been a joint effort of the Office of the President, Student Government, Office of Relationship Management and University Events. Director of University Media Relations Gary Susswein said recognizing and commemorating 9/11 is very important to the University. Student body president Natalie Butler said she remembers waking up on 9/11 to the news of the first tower being hit on the radio and talking about it in her seventh grade class. Butler said Student Government and the administration thought the tenth anniversary was particularly important to the campus and the community. “I hope the student body will have a chance to reflect and think about the impact 9/11 has had on all of our lives,” Butler said. Saturday and Sunday‘s events will include a moment of silence at the Texas football game against Brigham Young University, a darkened Tower and a Tower display of the American flag. Sunday will also feature the debut of Sale’s play at Anna Hiss Gym at 8 p.m.
Sale said the play would only run once a year coinciding with the commemoration of 9/11 and she hoped the play would compel people to encounter 9/11 in a different way.